Justin Bieber has a heartfelt message for fans. In a new video posted on Facebook Wednesday night, Justin opens up about the past year, addressing his “arrogant” and erratic behavior. He filmed the video following a taping for “The Ellen DeGeneres Show” during which he said he felt nervous and afraid of what people might be thinking of him; he feared that people were judging him. 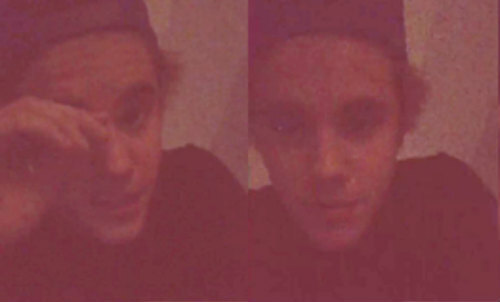 Here’s Justin Bieber’s Apology Video that might change your mind Aabout him. “It’s been a minute since I’ve been in a public appearance and I didn’t want to come off arrogant or conceited — or basically how I’ve been acting the past year, year and a half. Over the past year or so, Justin has probably made more headlines for his personal and legal troubles than for his music — from an arrest in Florida to issues with egging neighbors and more. Nickelback’s Chad Kroeger: Justin Bieber will be ashamed – should’ve grown up like Justin Timberlake! iam always believe in you Justin You are the Best Singer Writer You Enspired me I love your songs ……. I Love you Justin BIEBER !!! Iam Always Here for you K Justin ……. The USA’re stupid& medacious country ! I still say Justin doesn’t have to apologize for making mistakes while growing up because there are plenty of people before him who have done a lot worse growing up and not only learned from their mistakes but went on to become responsible adults.. Sure he did some dumb things but most of the time it was the media who blew everything up and exaggerated or flat out lied like the story about him spitting on fans from a balcony in Toronto not matter that there were a lot of Beliebers there who had their cameras/phones on him and said he didn’t.. People make mistakes growing up and Justin is no different. Justin grew up with his original Beliebers at the same time that’s why we can sympathize with him. putting everything behind you. I understand. Wish you the best in everything you do. WE LOVE YOU JUSTIN I’m so proud of you. This touched me thank you. Just keep being who u really are you don’t have to hide we know that kidrauhl is there somewhere you are amazing that was really brave of you to admit you were wrong about how you were acting hopefully you gain more respect for this unbelievable video maybe just maybe you will gain fans back your an inspiration to all of us. Still believe in Justin. We all make mistakes. We all grow up in our time. He is still and always will be a special person. He will keep learning everyday; just like we all do until that day the Good Lord calls us home. Hopefully Justin will learn now; that do something wrong and then apologizing and then keep making the same mistakes is not learning. Justin will be fine, just as long as he remembers his humbled upbringing. Love you Justin. GOD bless you.